When Cal Ripken Jr. began his career with the Baltimore Orioles at age twenty-one, he had no idea he would someday beat the historic record of playing 2,130 games in a row, a record set forty-two years before by the fabled “Iron Horse” of the New York Yankees, Lou Gehrig. Ripken went on to surpass that record by 502 games, and the baseball world was floored. Few feats in sports history have generated more acclaim. But the record spawns an array of questions. When did someone first think it was a good idea to play in so many games without taking a day off? Who owned the record before Gehrig? 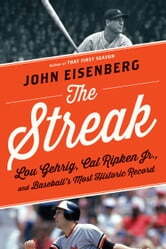 Whose streak—Gehrig’s or Ripken’s—was the more difficult achievement? 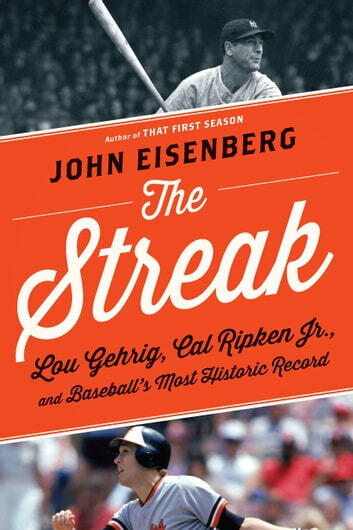 Through probing research, meticulous analysis, and colorful parallel storytelling, The Streak delves into this impressive but controversial milestone, unraveling Gehrig’s at-times unwitting pursuit of that goal (Babe Ruth used to think Gehrig crazy for wanting to play every game), and Ripken’s fierce determination to stay in the lineup and continue to contribute whatever he could even as his skills diminished with age. The question looms: How do these streaks compare? There were so many factors: the length of seasons, the number of teams in the major leagues, the inclusion of nonwhite players, travel, technology, medical advances, and even media are all part of the equation. This is a book that captures the deeply American appreciation—as seen in the sport itself—for a workaday mentality and that desire to be there for the game every time it called.